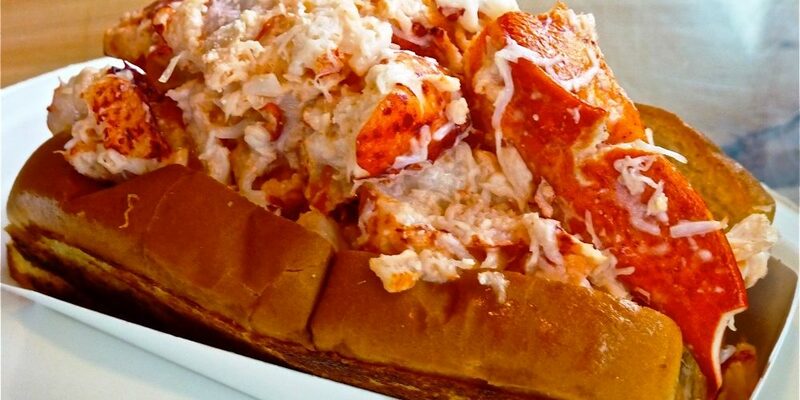 New England reigns supreme when it comes to the best lobster rolls with Maine, Cape Cod and the Connecticut coast generally leading the pack. Let’s definitely not forget, however, about southern New Hampshire when searching for great lobster rolls. Yes, southern New Hampshire also has a coast and a beautiful one at that — think Portsmouth, Rye Beach, New Castle and North Hampton, in particular. Some outstanding roadside shacks and restaurants specializing in lobster rolls dot the southern New Hampshire landscape. Always subject to change, my favorite southern New Hampshire place for lobster rolls is The Beach Plum. The sweet, tender lobster pieces overflow out of the perfectly toasted bun. The result: a New England signature sandwich that fulfills instead of just being full of fillers. Plus, it’s always nice having a large portion to go along with the mouthwatering taste of a well-prepared lobster roll. Given the high concentration of pure lobster meat, no one will never leave The Beach Plum with a skimpy lobster roll — even the small five ounce serving. Other sizes: six, eight and 10-ounce. You’d certainly be hard-pressed to finish the largest size. Many take home a portion of the lobster rolls. The Beach Plum has locations in North Hampton (seasonal; across from North Hampton Beach) and Portsmouth and Epping (both year-round). It’s really a wonderful roadside gem that also specializes in New England clam chowder, fried seafood and 78 flavors of ice cream — all the good stuff! Where to stay near The Beach Plum: the waterfront Wentworth by the Sea in New Castle, N.H.